Are You Ready for Your Next Move? Consult our Checklist. 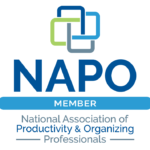 Want An Organized Life? Feeling Overwhelmed? Moving? ShipShape Organize specializes in home organizing and move management – so you can relax and enjoy life. 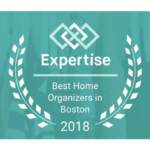 We are thrilled to announce the opening of our Boston office and have been awarded “Best Home Organizers in Boston” for our third year! ShipShape provides hands-on assistance and guidance organizing your spaces – whether a closet, attic, basement, home office, kitchen, bedroom, garage, 2nd home or relatives home. Moving? 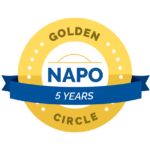 Who better than an organizer to manage a move than ShipShape – we offer packing, unpacking and full move management services from hiring movers to supervising on move day. We would love to speak with you about getting your house ready to show or about an upcoming move.